You’ve admitted that you have an Ambien problem. Good for you! … now what? We review evidence-based treatments for Ambien rehab settings here. Get informed. You’ve made the first step to getting help: admitting that you have a problem with Ambien. Now what? It can be intimidating to enter a treatment program for an Ambien addiction, particularly if you don’t know what to expect. Put your mind at ease. Most Ambien rehab programs include the same services and treatment methods as other types of drug rehab. Here, we review the major stages of treatment and what happens. Then, we invite your questions and comments about Ambien rehab at the end. In fact, we try to answer all questions personally and promptly! Ambien (main ingredient zolpidem) is a prescription medication used to treat insomnia. Unfortunately, Ambien can also be habit-forming, and some individuals who take this drug on a regular basis can become addicted. 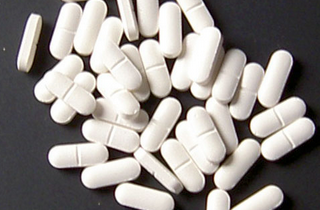 Like any other addiction, an Ambien addiction can be treated, but it’s also a difficult task. Here’s what you can expect during a stay in an Ambien rehab. An initial intake assessment and evaluation is made up of interviews and questionnaires, usually lasting for about 60-90 minutes. These questions are very important to understanding the severity and root of the problem. Speaking with an expert using a series of standardized questions gives addiction specialists a good idea of the intensity of a person’s addiction and how to go about treating it. At this point in time, the rehab will be planning and individual treatment plan for you. While assessments are ongoing, this initial assessment serves as a “baseline” for your entire treatment team, and can be adjusted according to your individual wants and needs. Withdrawal from Ambien is often uncomfortable and can cause bouts of insomnia and mood disturbances. Going through withdrawal from Ambien in a medical detox facility, however, can help greatly reduce the chances of relapse during this crucial period of time. Detox treatments for Ambien can vary. You may be asked to taper down and off Ambien gradually. Or, you may be prescribed a short-acting benzodiazepine to address anxiety. Medical professionals will help make the process less unpleasant and will prescribed antidepressant or anti-anxiety medication as appropriate. One of the most important steps in overcoming an addiction is understanding it. Education sessions are frequently used to teach recovering Ambien addicts about how addiction works, and how it can be treated. It is here that many recovering addicts finally begin to understand that addiction is not a moral shortcoming, but a treatable disease. Simply completing a rehab program does not mean that the long journey toward beating an addiction is complete. Aftercare programs are usually necessary to help recovering addicts continue to stay away from Ambien. After a stay in rehab, most recovering addicts will often continue to attend outpatient rehab treatment sessions each week. These sessions are designed to help recovering addicts cope with resisting the drug as well as deal with any co-existing mental health problems. Participation in self-help group therapy meetings is also usually recommended. Outpatient care can continue for 6-12 months or more after a stay in rehab. Recovering Ambien addicts should also consider seeing a medical doctor if they continue to have trouble sleeping. Insomnia can be caused by a number of psychological and physiological conditions. Many of these conditions can be treated without the use of habit forming medications like Ambien. How can you pay for Ambien rehab? Many Ambien rehab treatment programs provide assistance to those in need. Private clinics can help figure out how to pay for treatment, either with insurance, sliding scale fees, financing, or medical assistance. Other rehabs may be part of the federal voucher program, which helps offset the cost of admission. Still others may receive state grant money, and you can apply for treatment through your state’s Department of Health and Social Services. So, get informed because there are ways you can cut costs and finance rehab. Visiting someone in Ambien rehab can be intimidating for loved ones who aren’t sure what to expect. Visitation procedures are typically determined by the type of facility as well as the progress of the recovering addict. In general, you can expect rehabs to only allow visitation during certain days between certain hours. During this time, you will be expected to abide by certain rules of the particular facility that you are visiting. For instance, you may be required to keep physical contact to a minimum, and you may also be restricted from bringing certain items such as electronics, medications, or certain foods. Family therapy and counseling services are also usually offered to loved ones visiting recovering addicts in Ambien rehab treatment. This will give you a chance to reconnect with your loved one and work through your differences. Family counseling will also help you understand addiction better and learn to help and support your loved one in this difficult process. Can you leave an Ambien rehab before completion? Participating in a rehab is completely voluntary. This means that you can technically leave a residential rehab before completion. Individuals who want to quit early, though, are strongly discouraged from doing so for a number of reasons. Mainly, risk for relapse increases the less time you spend in treatment. Not completing Ambien rehab treatment can also lead to worsening feelings of depression, failure, and frustration for an addict. This may cause them to abuse the drug further and end up with an even worse problem than before. The amount of time a person spends in an Ambien rehab treatment program is very individualized and based on a number of personal factors. Individuals who complete Ambien rehab treatment take and learn all that the program has to offer. This greatly increases chances for long term abstinence. Besides a possible relapse, there are a few other factors that a person should consider before leaving Ambien rehab treatment before completion. Insurance companies and financial assistance programs, for instance, won’t usually cover the partial cost of rehab treatment if a person does not complete the full length of the program. This often results in a hefty bill that can be quite difficult to pay off. It’s reasonable to expect that a treatment program should help you cope with your problems and learn how to live a life free from Ambien. If you still have any questions or concerns about Ambien rehab treatment or Ambien addiction in general, don’t hesitate to leave them in the section below. We look forward to answering all of our readers’ questions and helping them along their journey toward recovery. Ambien overdose: How much amount of Ambien to OD?